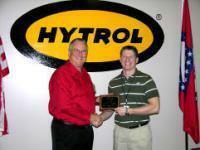 Hytrol recently conducted the 2nd ever Marketing Seminar with 21 attendees and 6 guest speakers. The 2 1/2 days were packed with market information and services available to the distributor network. A major North American retailer has placed an order with Norpak Handling for 13 "Best" 2-stage extendable conveyors for installation in their Toronto Distribution Center. Installation is expected to be complete prior to the Christmas rush period. What are the benefits of the E24 versus the motorized roller? Today, almost anything can be purchased online. Conveying equipment isn't an exception. Stock conveyors, ready to ship within 24 hours, are available online. In the world of 24 volt material handling equipment there is a need for higher reliability and flexibility. 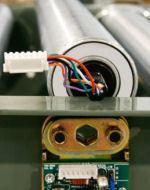 Hytrol’s E24™ concept is designed from the ground up to be the best 24 VDC conveyor drive technology in existence. Gavin Linn, Vice President of Sales & Marketing is pleased to announce the signing of a Canada wide distributor agreement with Diamond Phoenix of Lewiston, Maine. "We are very pleased to include the Diamond Phoenix name in our product line up" Mr. Linn stated. A number of Norpak employees attended the Hytrol International Conveyor Sales School and the Pallet Handling Seminar in Toronto, Ontario. The 2006 Hytrol Duck Hunt is over and we would like to congratulate our Vancouver Sales Office for winning the International Hunt. There were 2 Distributors taken from each region and 1 from International. The winners achieved the largest percent of increase of total sales over 2005 figures and had the lowest percentage ratio of change orders to the total number of orders entered during the same time period. The timeline for this contest was from January 2006 to September 2006. Norpak Handling was named the Top International Distributor for Hytrol Conveyors in Jonesboro AR for the second year in row. Hytrol Conveyor is the industry leader in the design and supply of conveying equipment. Norpak Handling Limited was recently honoured with the prestigious 2001 Excellence in Medium Business Award sponsored by the Chamber of Commerce. The award, presented at a gala ceremony on January 18th recognizes area businesses for their contribution to the local economy and community as a whole. Nominees are expected to strive for continual quality improvements in their products. They must make a difference to the quality of life of area residents. A company’s approach to solving everyday business problems must be innovative and demonstrate high standards of customer service. 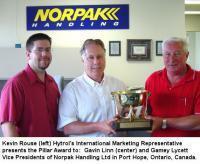 This fall, Canpar Transport Ltd. awarded Norpak Handling of Port Hope, ON, a multimillion dollar contract to design, supply and install a state-of-the-art Turn-key Parcel Sortation System. This fully mechanized system will be installed at Canpar's new 125,000 square foot cross-dock facility in Montreal, Quebec and will place Canpar at the forefront of applying leading edge technology in servicing their customers. Gavin Linn, Vice President Sales and Marketing for Norpak Handling is pleased to announce the appointment of Mr. Hans Bichsel to the position of Regional Sales Manager for the company. Working from an office in Montreal, Hans will serve customers and Norpak distributors throughout the Maritimes, Quebec and Eastern Ontario. 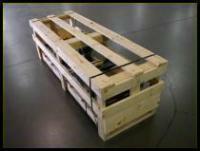 Mr. Bichsel has over 30 years experience in the conveying industry. His career began in engineering prior to moving on to project management and sales.